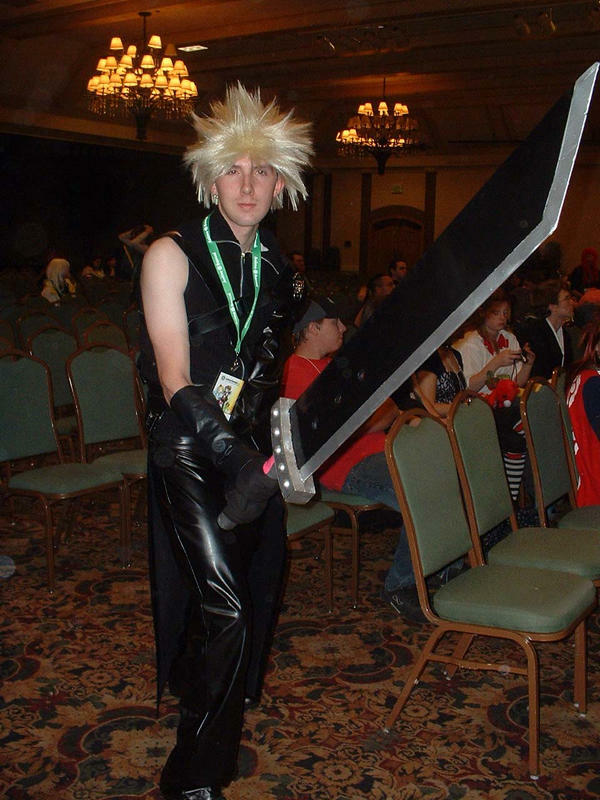 Hitting downtown Salt Lake City today, like an asteroid from the cosmos containing ancient beings and mysterious forces which require a group of misfit teens with cybernetic implants and magical spells to gather all the powers of earth into one sacrificial entity who battles them across time and space, in a short skirt no less... anime is about to take us over! --- Anime Banzai marks its fifth year as the predominant localized festival for the art form. Bringing together entities from film, television, gaming and manga literature under one roof for three days at the Sheraton, celebrating it in every way possible and then some for those who have fallen in love with the Japanese export. I got to chat with Banzai chairwoman Tyla Sprouse and Marketing Director Chris Allen about the event and everything planned, plus thoughts on the industry itself and its impact.%uFFFD And enjoy the various costume pictures from prior years. Tyla: My name is Tyla Sprouse. I’m the chair this year at Anime Banzai. I was part of the small group of people who built Banzai from the ground up the first year and I have been with it ever since. Chris: My name is Chris Allen. I’m the Marketing Director for Anime Banzai. I'm sort of a jack of all trades. I'm a geek and a techie, but my sense of time and time management is amazing. I know people. I'm good at finding their strengths and figuring out how to they work together to the best advantage of any event. 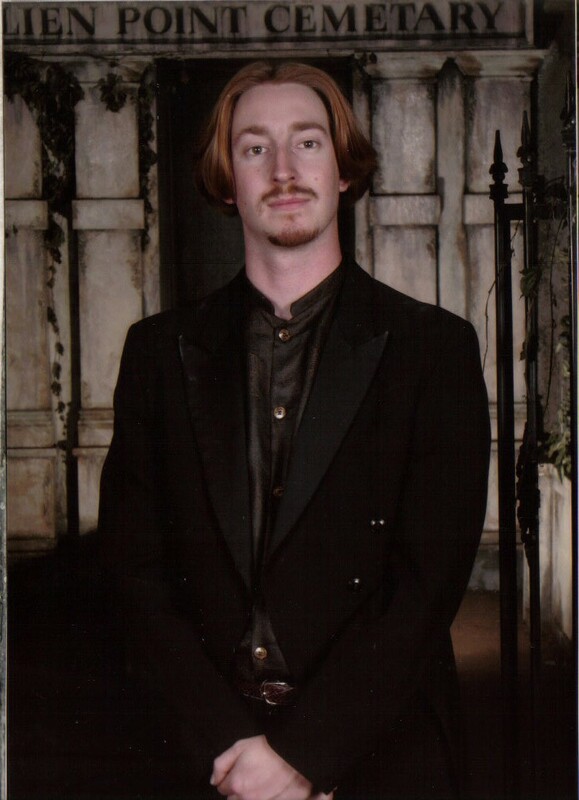 I've done acting, backstage management, and tech work. I've done most of what there is to do at a con, from cos-play and AMV contest submissions, to con staff. I just sort of fit myself into wherever I'm needed. Gavin: For those who don't know, what is Anime Banzai? 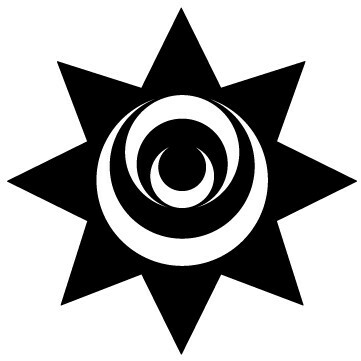 Chris: Anime Banzai is a Family friendly Japanese animation and culture convention spanning three days. It's, simply, one of the geekiest things in Utah. Tyla: It’s pretty much just a place where you can go and get your geek on for the weekend. Attendees can come in costume. We’ll have video and card gaming tournaments. There’s a dealers room, viewing room, games, contests, guests and a whole lot more. There’s pretty much something for everyone here and it’s a lot of fun. 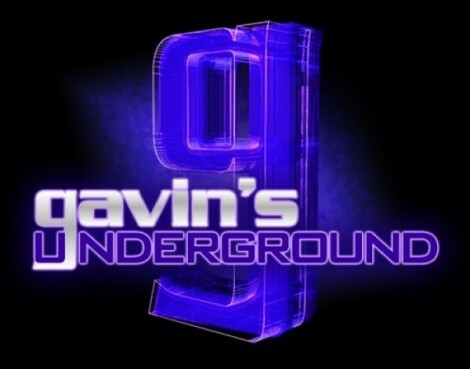 Gavin: How did the idea for this convention come about? And how did both of you get involved with it? 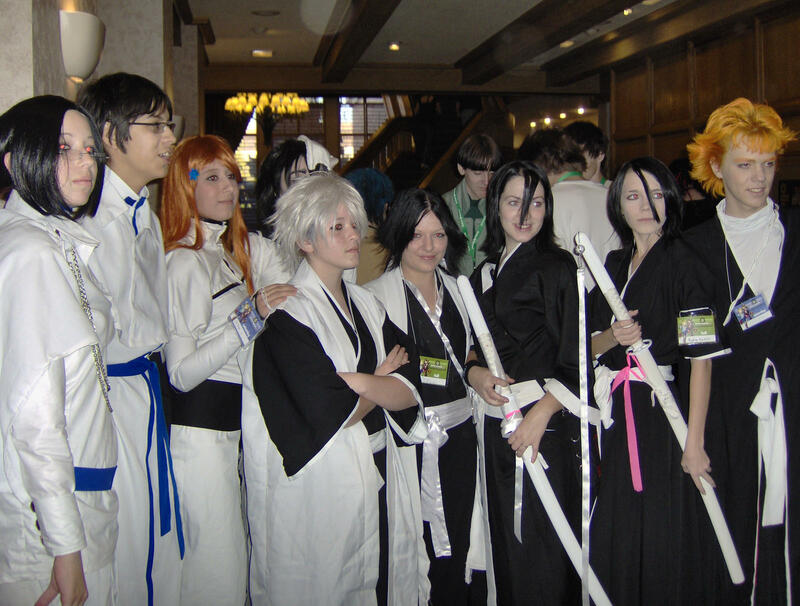 Tyla: A few years before Banzai came about, my friends and I would travel down to NDK, the anime convention in Denver every year. We always talked about how great it would be to have a local anime convention so we wouldn’t have to travel as far. There was a little bit of talk about putting one together ourselves, but we didn’t take it seriously. None of us had any idea how to even get started. We only knew that it would for sure cost money and that was something we didn’t have. Then one day two of my friends and I went to Life, The Universe & Everything which is a sci-fi and fantasy convention down in Provo. Unlike most conventions, the admission to LTUE is free. That got us wondering how this group could run a convention without making any money off of it. We figured out the group running it had to be affiliated with the BYU campus where the convention was held and thus, were able to use the space for free. It just so happened that one of the girls I went with, Shannon Deonier, was the president of the End Of The World Anime Club at the Salt Lake Community College at the time and I myself was the vice president. So what we did is we organized our first year of Anime Banzai as a club sanctioned activity at the college and thus, we were able to use the facilities for free. Our first year we were only able to run the convention Friday night and Saturday. We charged a small admission price in hopes we could earn enough money to be able to do it again the next year. I have been working to keep this convention going ever since. Chris: My entrance was a bit different. I was working back stage at Rocky Point Haunted House until they closed. Two of my friends that also worked there invited me to come and see what Banzai was about. Since I have lost the ability to sleep during the month of October, after having worked for seven years at the haunted house, I decided that I would see what needed to be done and, after a few references, was given this job. Gavin: What was it like for you guys during that first year? Chris: I’ll defer to Tyla on this one as I only joined the staff a couple of years ago. Tyla: The first year was really a make or break event. If the first Banzai bombed it was very probable we would not be able to do it again. 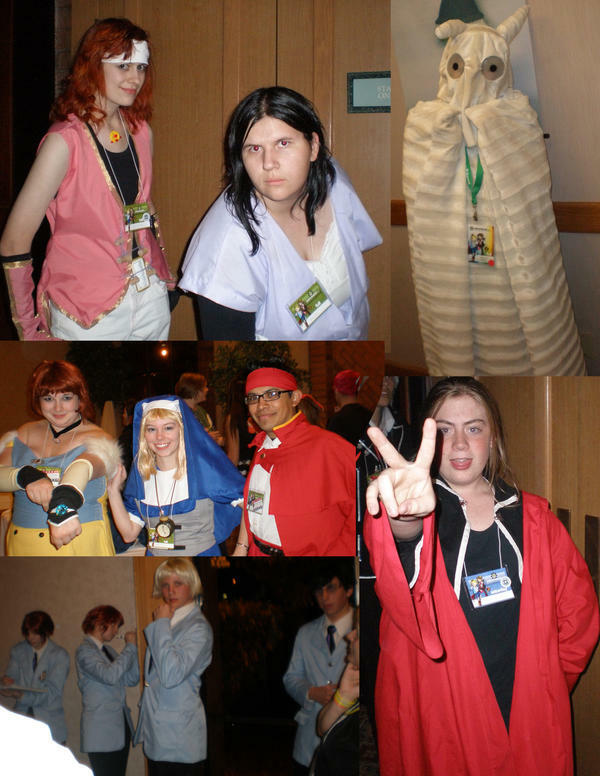 As a club, EOW had not had too much success organizing anime themed activities in the past. 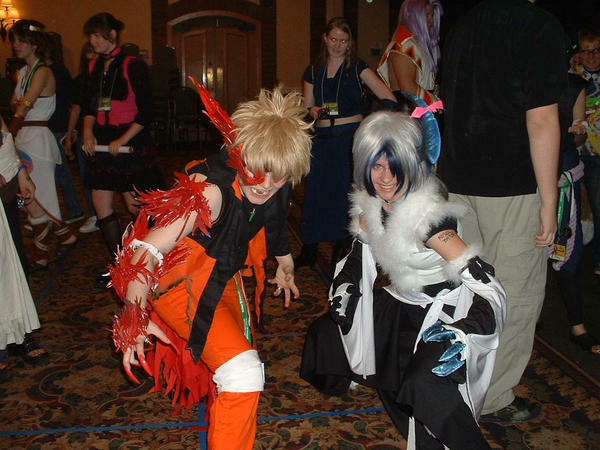 We really weren’t sure if the Salt Lake Valley was ready for an anime convention. We promoted the convention as much as we could, but we really only expected to see maybe 300 people and we considered that wishful thinking. Over 600 people attended the first year of Banzai and we have been growing in numbers ever since. It was a huge relief to all of us. Not only was our hard work rewarded with a large crowd, but we made enough money to continue the convention for another year. The people had spoken. They wanted their anime! Gavin: This year marks the fifth annual one, being held in downtown SLC. How does it feel to hit that benchmark that a lot of other conventions and festivals fall short of hitting? Tyla: It is amazing! Never had I imagined it would grow like this. I can’t believe it’s already been five years. Even with Banzai’s success there’s always that worry the next year might not happen whether we’re scraping for extra money or we can’t find enough volunteers. But every year we have managed to pull it off and every year we get more and more fantastic people willing to put in time and energy to make the convention even better. This year is our first time for a three day convention. We are both excited and afraid of how worn out we will be by the time it’s over. Anime Banzai has really become a labor of love. Especially for those who have been with it in the beginning. It’s a lot of hard work and you may hear us complain sometimes, but we all really enjoy doing it and we enjoy bringing the community a bigger and better convention than the year before and we hope to be doing it for many more years. Chris: Personally, I'm looking forward to year 25. We have a great community here in Salt Lake and look forward to doing this for years to come. Gavin: Venue-wise, why did you choose the Sheraton for the location, and what has the staff thought of holding it there? Chris: The Sheraton has been great to work with for the past 3 years. We are unique convention for them so I feel it has been an overall positive experience for all involved. Tyla: We first started looking for a new place to hold Banzai for year three. The first two years Banzai was held at the SLCC Redwood Campus, but we were already getting too big. Plus we wanted to have the convention longer than Friday night and Saturday which was all the college would allow us. If we wanted a two full day convention we needed to look elsewhere. We started looking at the Sheraton because we knew it had hosted similar conventions. We thought the space was just right for what we needed. The Sheraton was also willing to work with our needs and they gave us a great price for the space we were looking for. They also continued to give us great deals for coming back. This will be our third year with them. As for the staff, I’m sure they don’t always appreciate we make them work so hard late on a weekend, but we really appreciate all they do to help us out. This will actually be our last year at the Sheraton. Banzai, again, has grown too big. We are projecting over 3,000 attendees this year and even now we are worried we will have more people than space as it is. 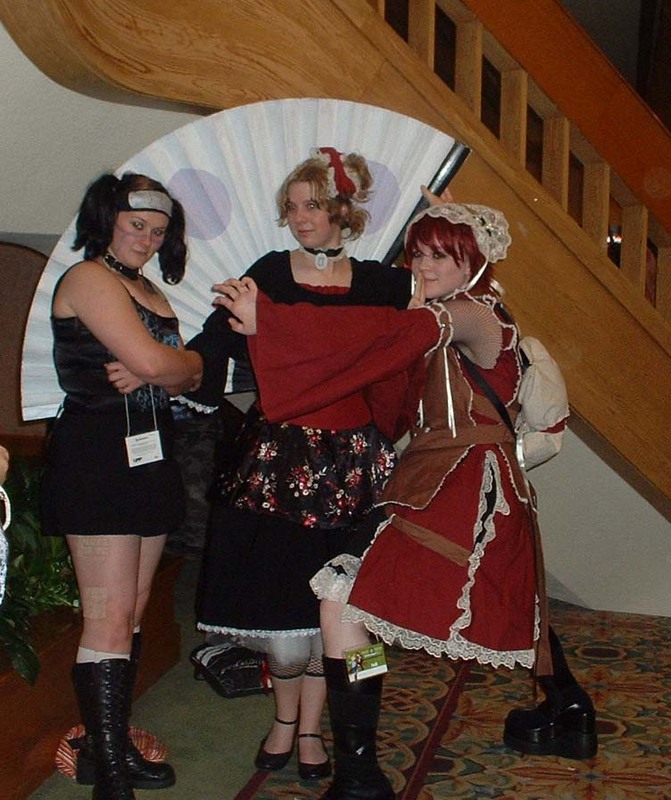 Anime Banzai 2010 will be hosted at the Davis County Conference center where we can continue to expand and keep bringing the community a bigger and better convention every year. Gavin: For this year who will you have on hand as guests for panels and interviews? Tyla: This year we’re happy to announce Michelle Ruff, a voice actress who has done voice work in both anime and video games. A few of her more popular roles would be Rukia in Bleach and Yuki in The Melancholy of Haruhi Suzumiya. She will be in a few panels as well as an autograph session. Coming back again this year is Steve Nunez, aka Warky T. Chocobo. He is a local talent who can recreate video game music on his piano. I believe he will be performing a concert as well as playing the background music for our Banzai Brawl which has become a very popular event at the convention. Chris: We have Chuck Huber and Michelle Ruff. They are two wonderful voice actors who we are overjoyed to have. We will also have Ichidan and XDCDX, a couple of Cosplay/Acting troops that will be performing, as well as Warky, our musical guest. The geek show will also be doing their podcast live from our event on Saturday. Gavin: Speaking of panels, what have you got lined-up in that area? Chris: There are a ton of different panels taking place throughout the weekend from costuming panels to individual fan panels. 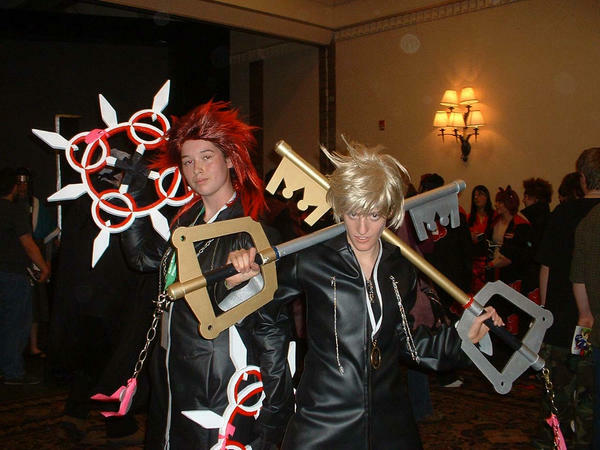 There are also several events in the main events hall, the most attended of which are the AMV contest and the Cosplay contest both of which take place on Saturday afternoon and evening. The convention schedule was just uploaded to our site and can be found here. Tyla: We try to offer as wide a range as we possibly can when it comes to our panels so there is always something for everyone. Expect to see panels on art, costuming, fanfiction, Japanese culture and so much more! A great way to get into the know of what banzai has to offer is visit our webpage. We are posting new information on what we have to offer all the time. Gavin: I know you plan on incorporating card games into the mix. Will it be simply for trade or will you have competitions? Tyla: We will have a card gaming room which will be open the duration of the convention. Pokemon, Naruto, Munchkin and Dungeons and Dragons. Between competitions will be open gaming for attendees to play whatever they want. Chris: We will be having card competition throughout the convention they are open to all attendees. Gavin: I understand video games will play a role this year as well. What will you have for people to play and what kind of contests will you be holding for those? Tyla: We also have a video gaming room also running the entire convention. We will have several gaming consuls with open gaming all day. We currently have scheduled tournaments for Smash Brothers, Street Fighter IV, Guitar Hero, and Dance Dance Revolution. Gavin: There's a lot more I'm leaving out, if you can give us a rundown of the other events and activities you'll be holding. Tyla: I’m afraid it would take me all day to cover all the great events and games and panels we have planned for everyone. As I mentioned before, the website is a great way to get an idea of what’s going on. 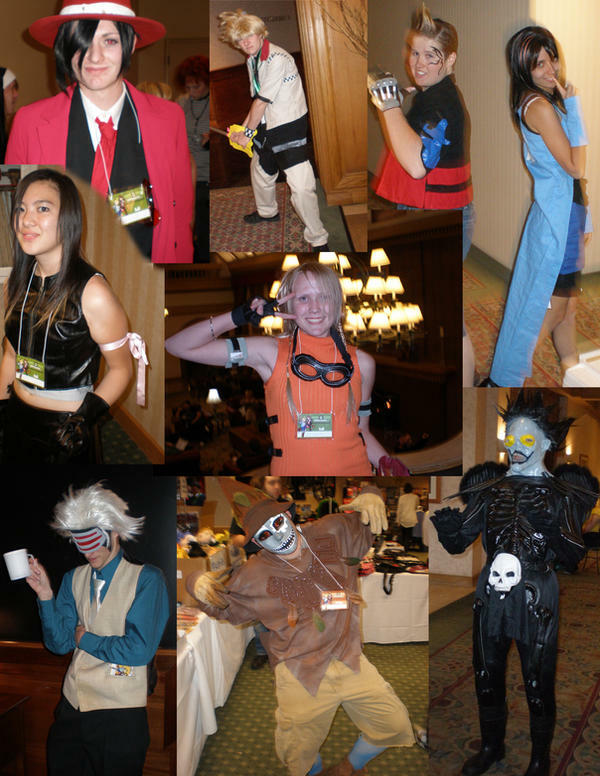 Some of our more popular events are the anime music video competition, the cosplay contest and our dances. But that’s really just the tip of the ice berg. We have great stuff going on all three days. Chris: We have three days of events, so the best way is to go to our website. Gavin: Like any other convention of this type we know people will come dressed up. 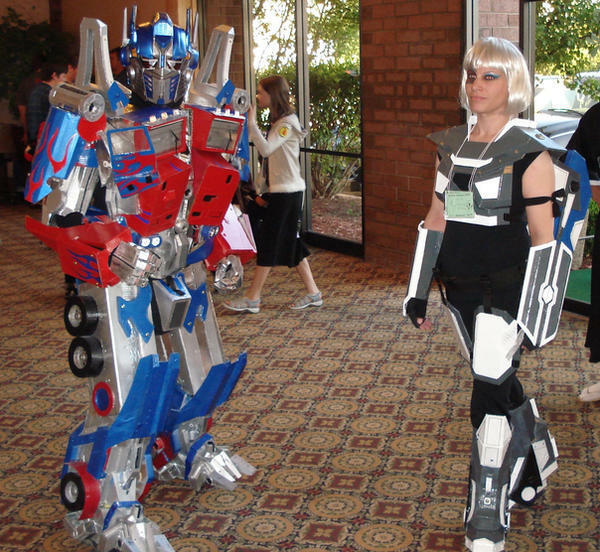 Do you have any rules or regulations toward costumes? Chris: There are a few rules that can be found here along with the rest of the convention rules, but the basics are: no real weapons and nothing over PG13. Tyla: We do indeed. Most of it is common sense. No real weapons. We have size restrictions on weapons, wings and other props. We also require people be mindful of how they dress. 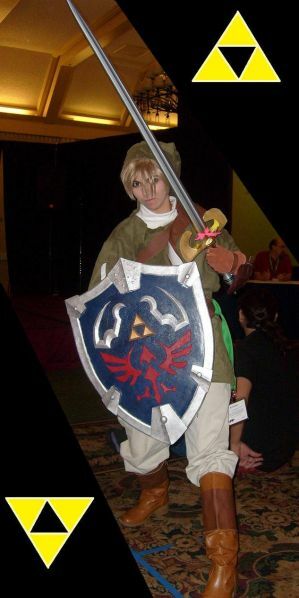 Any costume that maybe considered inappropriate for the general public the attendee will not be allowed to register or be asked to change or cover up. Gavin: A bit on anime, what are your thoughts on the genre and the product coming out these days? Tyla: Anime is a lot like regular TV. There is always something new coming out. Some of it is really good and some of it is really bad. Some of it is original and some of it is a rehash of old ideas. Sometimes it feels like it’s a lot of the same thing and sometimes you happen upon a title that seems to try and push the boundaries. It’s always fun to see what’s new out there and find the good stuff. Chris: Anime has evolved in recent years. They run the gambit from art house shows such as Mushishi to high action such as Black lagoon. It’s nice that so many titles and genres are readily available in local stores as well as through non-pirated online sites such as Hulu. Gavin: Do you feel American audiences are deprived not having a fully-translated version, or is it for the best to leave some of the material out? Chris: When dealing with any translation there are always some things that just don't cross over. A good example is the frequently used word Senpai. Roughly translated it means ‘one who has more experience’. However in English that is generally handled through vocal inflection. Tyla: I’m not really sure what title you had in mind. Just about every anime DVD has the Japanese version on it if you don’t want to watch it in English. There are also some titles out there such as Millennium Actress and Gurren Lagann that are only available in Japanese. Right now is a great time to be an anime fan. There’s hardly a title you can’t get a hold of. Gavin: For the card games, does it feel like those are going out of style or is there another peak on the way? Tyla: I’m afraid I don’t know too much either way, I don’t play any of the card games. Though, to my knowledge, I have yet to see a new title that’s rivaled the popularity of Pokemon and Yu Gi Oh. Chris: Card games have a cyclical popularity. Generally they run in 3-5 year cycles. For example: you have peak card games like Magic in the mid 90's, Pokemon in the late 90's, and Yu-Gi-Oh! a few years after that. I would say it's more likely that it's more of waiting for the next great game. Gavin: For you both, what are some of your favorite series and titles from the genre? Chris: My all time favorite is Fruits Basket. Other than that it depends on my mood. There are as many, if not more, kinds of anime as there are types of movies. Tyla: My absolute favorite anime title is Fruits Basket. I think it’s a great series for both seasoned anime fans and first timers. Two other titles I also highly recommend are School Rumble and Gurren Lagann. Gavin: Is there any last minute info or details you'd like to give those attending, or those planning to attend? Chris: Drink plenty of water, Pocky and Ramune do not make a meal, so make sure you eat real food and have fun. Tyla: Banzai tries to do a service project each year. 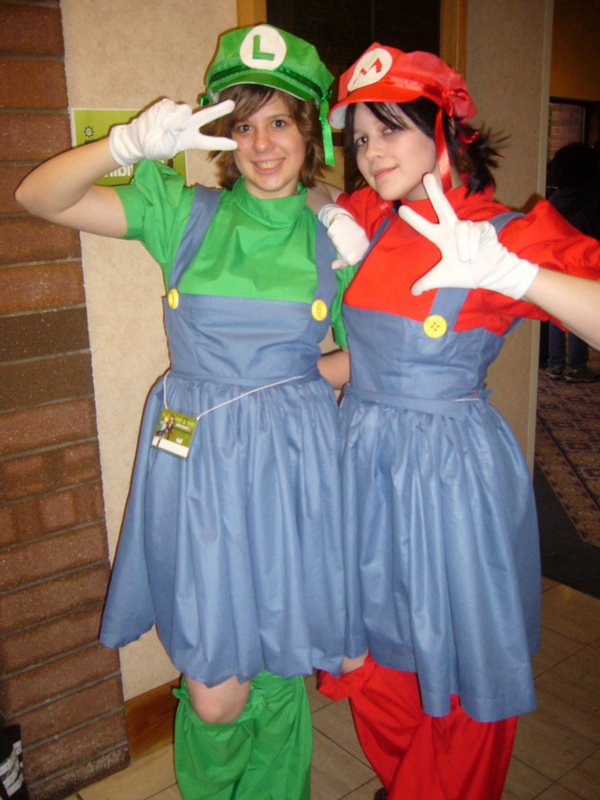 This year we are pleased to bring back the Cosplay Café. We will be selling lots of yummy Japanese drinks and snacks for great prices. All proceeds will go to the Huntsman Cancer Research Institute. Be sure to come by to help us raise money for a good cause! Chris: Be sure to check out the Geek Show Podcast. They will be recording live from Banzai on Saturday. Also, check out the Exhibit Hall to buy every thing from DVDs to snacks.